Sweetened with Love: My first post and order for 2010 ! My first post and order for 2010 ! 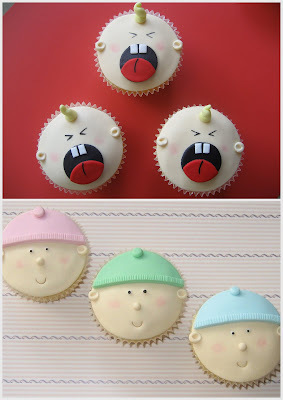 Nadine decided on the Planet Cake baby design for her friend's baby shower - 3 of the normal one's and 3 screaming babies. I was really looking forward to making the screaming babies as i had never made them before, and i love trying new things. Thanks for your order Nadine, i hope the girls enjoy them. these are great! 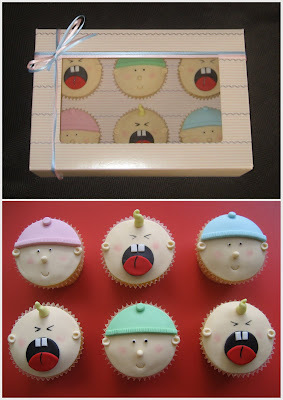 You'll have to bake some for Inga when they have her morning tea when she goes on maternity leave (ages away, I know).